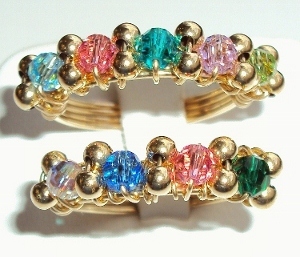 Each gold wire mothers ring is handcrafted for you at the time of your order. 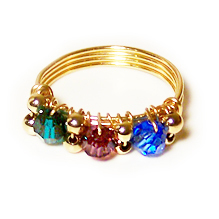 This ring can be made with up to 5 birthstones in Swarovski crystal for your children or grandchildren. Available in standard US ring sizes. 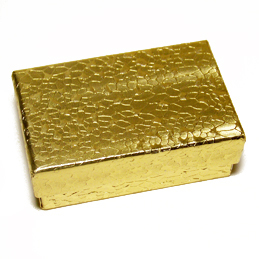 This ring ships in a gold foil gift box.